Some people can't resist chocolate. Others are beholden to ice cream. 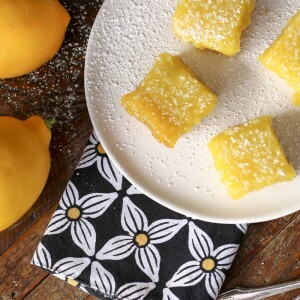 I can't resist a good lemony dessert, particularly a good Myer lemon dessert. The trouble is, not all lemon desserts are created equal. The key to a great lemon dessert is that it not be too sweet. If all the great puckery lemon flavor is masked over with an abundance of sugar, you miss the point. Meyer lemons are phenomenal. Round, thin-skinned, fragrant, juicy and tart, but not too tart. Meyer lemons originated in China and are thought to be a cross from a lemon and either an orange or a mandarine. Meyers do very well in containers. Lucky you if you have a Meyer lemon tree. This recipe is for an old-fashioned, tart lemon meringue pie with a graham cracker and oatmeal crust. There is a real art to lemon meringue pie. For a number of reasons it is challenging to get complete consistency in your lemon meringue pies, pie after pie. The meringue comes out better some days than others. 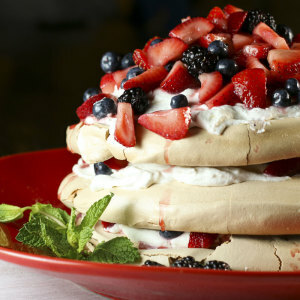 You can have trouble with weeping (liquid pooling between the filling and the meringue). If you don't cook the lemon filling enough it will not set up properly. If you add too much cornstarch the filling can be overly gelatinous. For all of the challenges, however, a good lemon meringue pie is absolutely worth the effort. Don't make meringue on a humid day. The moisture in the air prevents a good meringue from forming. It is easiest to cleanly separate eggs when they are cold. Make sure there is no yolk in your egg whites. Any yolk will prevent the meringue from forming. Allow egg whites to warm to room temperature before beating. Use very clean and completely dry equipment as any residual fat or moisture will keep the meringue from forming. Use a stainless steel or copper bowl to whip your egg whites. 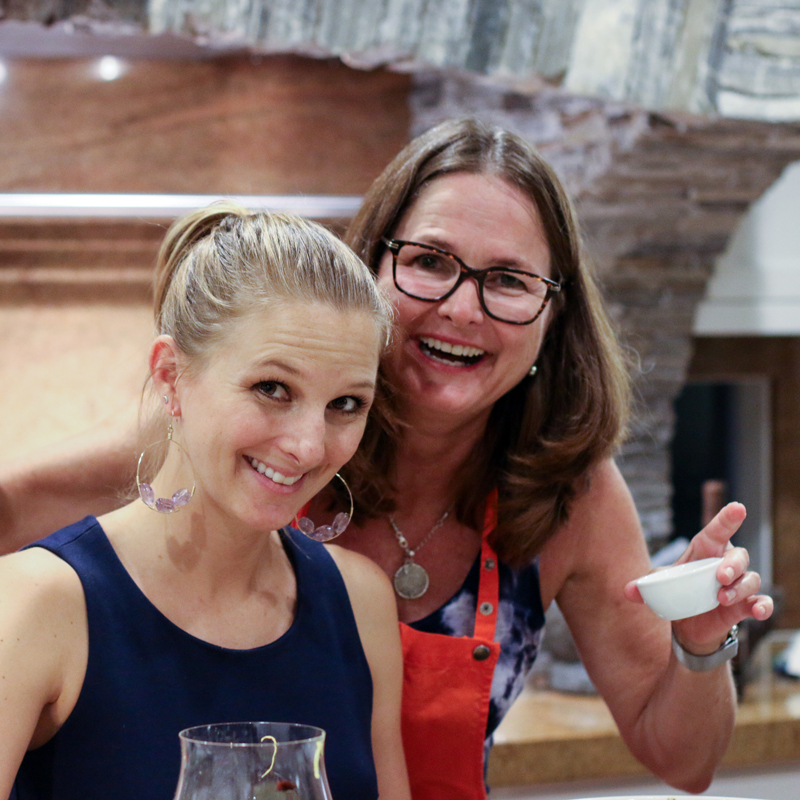 You can whip the meringue with a wire whip, but plan on developing some muscles. I use an electric mixer. Beat the eggs until foamy, then add cream of tartar. Beat until soft peaks, then gradually add sugar and cornstarch. Continue to beat until you have stiff peaks. Soft peaks softly fold over. Stiff peaks stand up straight. Top the pie with meringue while the filling is still hot and make sure to cover the filling all the way to the crust so there is no filling exposed. It is critical that you cook the filling enough or it will turn to lemon soup. See my slider pictures to gauge the consistency you are looking for. The filling should thickly coat a wooden spoon when it is ready. Lemon meringue pie must be refrigerated. Refrigeration causes some beading of the meringue - small drops of caramel colored fluid on the surface of the meringue. Don't worry about it, it does not affect the taste of the pie. 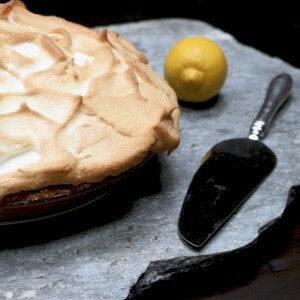 Make lemon meringue pie in the morning or midday, refrigerate for several hours and plan on eating it that evening. By all means, eat any leftovers the next day, but the pie is at its best the day it is made. What are your tips for making lemon meringue pie? Lemon meringue pie is puckery old-fashioned treat that requires a bit of technique. Here is a recipe and a list of tips for making a great lemon meringue pie. Heat the oven to 350 degrees. Put graham crackers in food processor and whirl until you have fine crumbs. Add oatmeal, brown sugar and salt, and then pulse to incorporate. Add melted butter and pulse to combine. Press crumb mixture into 9" pie pan, covering the bottom and sides of the pan. Bake for 12 minutes. Remove from the oven and cool. In a stainless steel or copper bowl whip the egg whites until they are foamy. Add cream of tartar and continue whipping until the egg whites form soft peaks. Combine superfine sugar and 1 T cornstarch in a separate small bowl. Add the sugar and cornstarch to the egg whites a few tablespoons at a time, whipping until stiff peaks form. Set aside while you prepare filling. In a medium saucepan, whisk together egg yolks, water, milk, sugar, lemon juice, lemon zest, 5 1/2 T cornstarch and salt. Whisk over medium heat until the mixture begins to boil. Reduce heat to low and continue to whisk while the mixture thickens, about 3-4 minutes. You know the mixture is done when it is thick and heavily coats a wooden spoon. Remove from heat and whisk in butter. Immediately fill the crust with the filling while the filling is still hot. 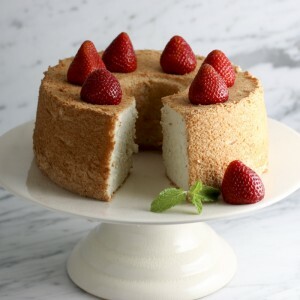 Give the meringue one last whip to freshen it and spoon meringue onto the filling, covering the filling completely, so that it touches the crust all the way around. I like to mound more meringue in the middle of the pie and slope it down to the edges of the pie. Use the back of a spoon to swirl the meringue into little peaks all over the top of the pie. Bake 10 - 12 minutes until the meringue has nicely browned. Let cool and refrigerate three hours before serving.